Dental Cabinets for Your Practice! In dentist offices cabinets take a beating. Everyday they are used all day long but still they must give a great impression to patients. Redesigning business cabinets is not an easy undertaking. The best way to approach it is by research. Read a lot of articles. Get a basic understanding first. Draw a broad outline. Then get some software for remodeling. Be sure to input all the dimensions in perfectly. Involve all of your staff. Get ALL of their ideas. Take your time. Have a very solid plan that is not rushed. Only after this is done should you call and get quotes. The more prepared you are, the more exact the cost and the schedule will be quoted to you. I will assume in this article you are starting at day 1. This is your first article and this is the first broad sweep of understanding what you will need to do to prepare. Break down the areas of your practice. In general there are several areas. Dental cabinets in each area serve a different purpose. Think of ways each area can do its job better! The reception design needs to be reassuring. It must let clients know your practice is clean. It also needs to welcome and relax. Warm drop lighting often does this great. The reception area also must allow for the receptionist to do his or her duties, too. Are the file cabinets close? Is the phone on the left side and the computer and keyboard on the right? Is the monitor out of the way of seeing people enter the practice? 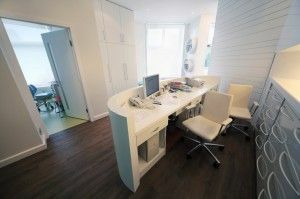 Exam room and console dental cabinets need to be compact and organized! Often these rooms aren’t big but a few people need to move around in them. Work stations and equipment cabinets are the deal breaker. Even if everything else is perfect, if they aren’t right then nothing will make up for it! Depending on the office there might be a staff kitchen. Bathroom cabinets may also need to be done at the same time as the rest of the office. It makes sense. If the office will be closed anyway…. When you Redesign Think Functionality! Streamline your processes. From the receptionist to your assistant’s sterilization procedures, it can be designed into the cabinets. Ergonomics will increase staff health, happiness, and productivity. There isn’t a reason to have to reach far or hunch. Have the staff think about this when they go about their day and take notes. Where would things be Better placed? Where is there ‘dead’ space and how could you use it? Or would you like to open up the space by lifting the cabinets off the ground and not taking them up to the ceiling? When it is time to replace, reface or completely redesign your dental cabinets I&E understands that time is very important. With this in mind, we still encourage our clients to think big, because we deliver big. I&E’s professional experienced designers and carpenters will meet expectations on schedule. Your office, your cabinets, your look. We will work with you to find what you want. We will find colors you like. 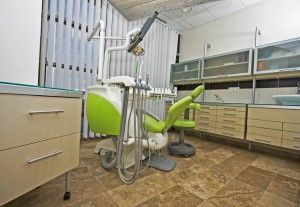 We will find dental cabinets that will do what you need. This can be pre-manufactured, custom built by us or a combination of both. We have many references and are very pleased to present them.